Daily, we are surrounded by danger. There is that throw rug with the corner turned up; that low foot stool or extension cord we might trip over. How about those power tools, solvents, and insecticides in the garage? There are sharp knives in the kitchen, and under the kitchen sink are toxic cleaning agents. It is a scary world we live in. But not really. Over time, we have learned from parenting, school, reading instructions, safety classes, and even occasionally from the School of Hard Knocks to integrate all of these dangerous things into a safe and manageable life. In fact, we have acquired this dangerous stuff because it makes our life easier when we know how to use it safely and sanely. 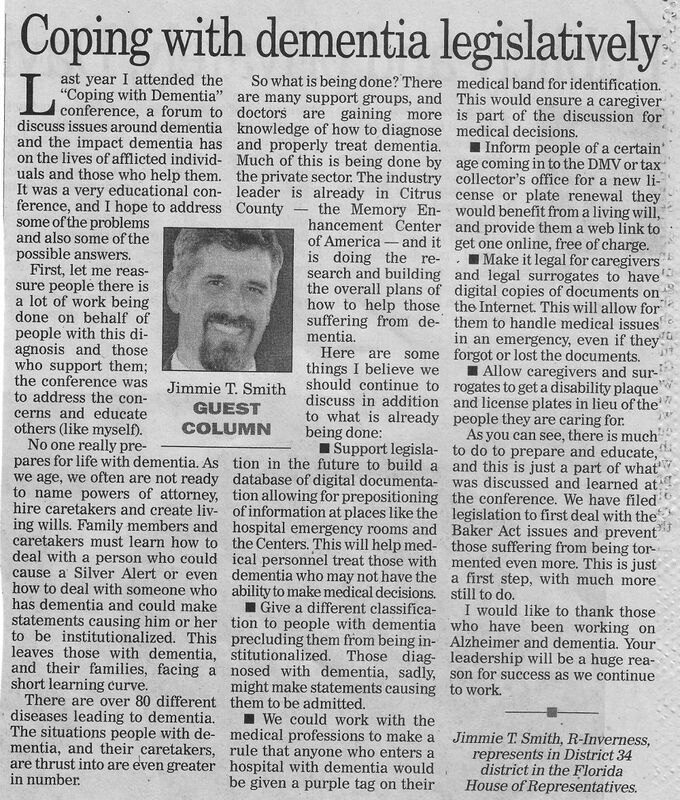 But when we become a caregiver for a friend or loved one living with dementia, we must understand that all of this learning will disappear, and their world will become a potentially deadly place indeed! As good caregivers, we must relearn to look at the world from the perspective of what it would be without all that parenting, training, and education. We must re-envision it through their eyes. When I was caring for my husband Albert, one day noticed that the ceramic bottom and sides of his favorite coffee cup appeared to be wearing away. I discovered to my horror that he had been scrubbing out the coffee stains with an industrial de-greasing agent. Where he got it, I’m not sure; and how he had not already poisoned himself, I don’t know! This brings us to our first lesson about danger from the dementia perspective. People who are losing their ability to think logically or use good judgment will continue to be curious. Don’t think for a minute that you can hide anything from them that is not locked away. The world of dementia becomes dangerous for two very different reasons. The first is that they are forgetting everything they learned about how to handle potentially dangerous agents and objects. You have to accept this fact and anticipate it. You cannot wait until they make a mistake before you make changes to insure their safety. The second reason is that dementia degrades all of our senses and our physical abilities.For example, with dementia we lose our peripheral vision and eventually our depth perception. Our ability to hear also changes. We develop “white noise” and even phantom sounds that confuse us and interfere with our ability to take in auditory information accurately and usefully. The loss of these abilities will cause a person with dementia to put themselves in harm’s way, to not see that loose throw rug or that stool they can trip over. Dementia also degrades our olfactory function. We lose our sense of smell, which can lead to eating outdated and bad food, especially among those living alone. Dementia also takes away our manual dexterity, which means a person may no longer be able to safely handle tools that they once used routinely. For the caregiver who wants to keep their loved one safe, there is really a lot to learn. Let me suggest two courses of action. I offer free workshops where we discuss the factors of judgment, cognition, vision, hearing, and other forms of sensory function in greater detail. Contact me to learn when and where the next workshop will take place. In addition, let me suggest the Senior Resources/Aging in Place web site that provides guidelines for home assessment for safety. Go to www.seniorresource.com/ageinpl.htm#assess. And finally, especially in matters of keeping your friend or loved one safe, let’s remember that we all deserve to be safe, and we all deserve the best. Debbie Selsavage is a Certified Independent Trainer in the Positive Approach to Care, a Certified Dementia Practitioner, and President of the Board of Directors of the Alzheimer’s Family Organization. Her company, Coping with Dementia LLC, is dedicated to making life better for individuals and their caregivers who are living with dementia. Contact Debbie at deb@coping.today. When is your workshops for myself, the caregiver to husband with dementia? Also wonder if you know of any daytime places that offer things that challenge dementia patients to think, to do. My husband wants to stay in bed all day and all night. I feel that I’m not doing him any favors by allowing this but also get so frustrated in trying ways to get him out of bed. So a lot of days after trying I just give up and let him stay in bed. Hello Pat, I have support groups in Inverness and Crystal River. There are not to many places/daycare for people living with dementia to go in Citrus County. He is probably staying in bed because he may be depressed and does not have a purpose to do anything. He has a lack of initiative to do anything even if he likes it. There is medication that we can use to deal with the depression that may help him feel better. There are some social places that both of you can go and do things, such a community centers, YMCA has a art program. Finding something for him to do will allow him to get out of bed but the dementia may be the problem so we need to deal with that first to then have him better accept doing something outside the house or with other people. Finding something that he can do and not fail at is the trick, you want him to feel good about it. Let me know if you live in Citrus County and can give you more information.